And just like that, the Open in 2019 is over. The last workout was, as it always is, a brutal one. At the end of these 5 weeks, hopefully you were able to improve your fitness, challenge yourself to go a little further, get a few PRs and have some fun! Next week I will go over what you can do moving one after the Open. 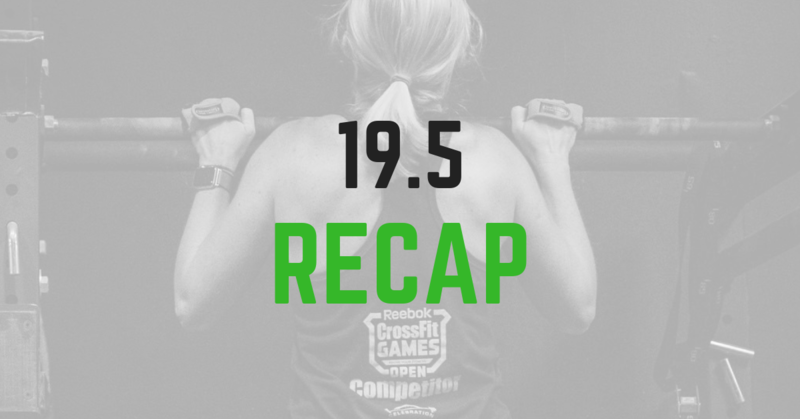 This week we still have to cover 19.5 and what lessons we can take from it. The last Open workout of the season has a reputation of being the hardest one, physically and mentally. It is often a couplet of Thrusters and some other movement (many times, a high skill gymnastic movement). This year it was no different. It had the combination of movements to leave you sore for a few days. While it isn’t the most flashy of workouts, it is exactly what CrossFit is about. And that’s the reason why it’s always the last workout during the Open. It takes everything you learned and worked on during the past 4 weeks and combine it into one workout. 19.1 showed us that simple movements can be difficult for us for multiple reasons (endurance, technique, strength, etc). And that we must find the cause of our suffering to improve. 19.2 taught us that every movement is a skill. We can be very strong, but if our technique is faulty we cannot express our strength in a meaningful way. Practice the movements. 19.3 revealed that we need to adapt to the task at hand. Never done jumping pull ups followed by thrusters? You got one round to figure out and make a plan to tackle on the rest of the workout. Not every workout will go as planned. We need to be able to adapt to it. Be like water, my friend. 19.4 was all about intensity. You need to be able to take yourself to that dark place. To push harder than you think you can. It is also beneficial to learn how to do that with any and every movement. 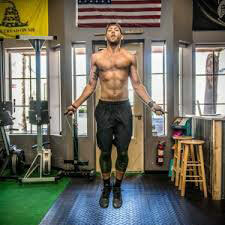 If you had trouble pushing yourself on the ups and downs of burpees, you most likely will have trouble with the ups and downs of thrusters. 19.5 was all of the above. Just like the end of a good story, the Open ends with a bang. At the end of these 5 weeks we hope you became a little fitter, had some fun, learned something new about yourself and found out a few things to improve on in your fitness. This celebration of your physical abilities is what the CrossFit Open is about. Unlike years prior, you only have about 6 months to get ready for the next Open. So, don’t wait till it’s here. Come chat with your Celebration CrossFit coaches and come up with a plan to tackle whatever left a bad taste in your mouth during this Open.